Browse the individual pages of our dedicated Write-a-Thon writers. You'll find biographical and publishing details, photo portraits, goals, excerpts and more. Then pick one or more to support. You can also donate to more than one writer at once. 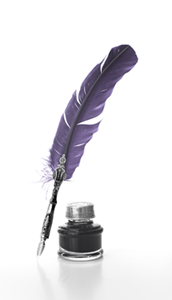 See what the writer teams are up to by checking the Clarion Blog. Writers: raise or donate at least $20, then check your acknowledgment emails or read our Tips for Teams page for instructions about how to join a team. These writers have raised enough money to join a team but are not yet team members. For details about creating or joining teams, visit Tips for Teams. Help us reach our goal of $15,000! Sharpen the pencils, keep the coffee hot, and be ready with a word of encouragement. 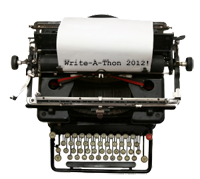 Learn how to support your favorite Write-a-Thon writers as they strive to reach their goals. 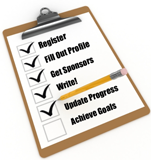 Register now, set your goals, and line up support. Bringing in $20 or more qualifies you to participate in a team of 8 writers mentored by a Clarion Workshop instructor or graduate -- completely optional. Write-a-Thon writers, update your progress bar, see who's supporting you, and keep your official Write-a-Thon page current with new publications and recent excerpts.